Faced with undeveloped space on his property, a true luxury for any gardener, Bruce Lockhart decided to create a meadow. Enlisting the aid of designer Gordon Hayward, Bruce gave him two directives: look to the work of Piet Oudolf and create a pollinator-friendly habitat as a companion to the orchard nearby. In 2012 Gordon arrived to lay out thousands upon thousands of meadow plants, and he brought help: nurserywoman and garden designer Helen O’Donnell, who has been part of this strong collaboration ever since. In this behind-the-scenes look at the creation and ongoing management of a visually striking meadow that is alight with more beneficial insects every year, Bruce and Helen will share techniques, challenges, successes, and, of course, favorite plants. 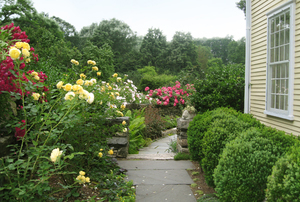 Helen O’Donnell manages a garden design and maintenance business and co-owns the Bunker Farm in Vermont, where she has a specialized plant nursery. Working at Great Dixter under the tutelage of Fergus Garrett, she developed a passion for garden design and growing interesting plants from seed, as well as a belief that great gardens come from exquisitely grown plants. Helen is equally a gardener and a grower, finding she cannot be one without the other. Bruce Lockhart was a gardener without a garden until 1998, when he and his partner found this 88-acre property with a scrappy house and lots of weeds. It has been a labor of love ever since, the first fourteen years while working full time as a physician, and the past six years retired. 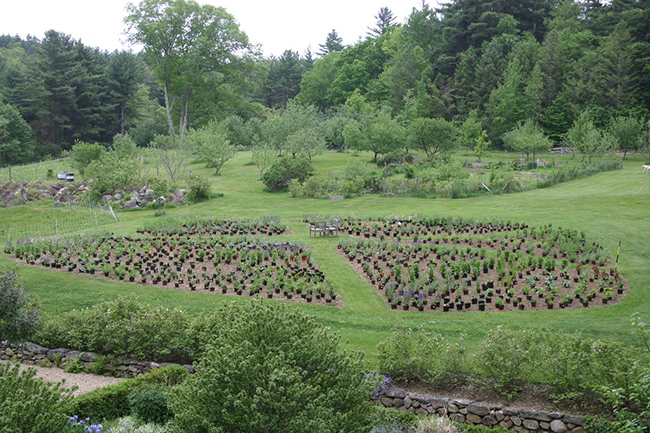 Swift River Farm will be open to general Open Days visitors on this date from 10 a.m. to 4 p.m. Your registration includes Open Days admission to this garden destination—a $10 value.